TMap is a test method that can be summarised by four essential points * The client manages the test process on rational and economic grounds: Business Driven Test Management (BDTM). * The comprehensive test process, from test execution through test management, includes ample tips and examples. * TMap contains a complete 'tool set', i.e. technique descriptions and organisational and infrastructure support. 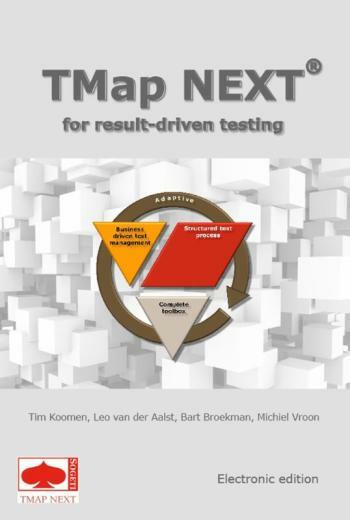 * TMap is an adaptive method that is suitable for test situations in most environments (such as new development, maintenance, waterfall / iterative / agile development, customised or package software, outsourcing). TMap offers the tester and the test manager guidelines to deliver results for the client. Through the years, TMap evolved into a de facto standard for testing information systems. It is currently implemented in hundreds of companies and institutions all over the world. The power of TMap can be largely ascribed to the many experiences from actual practice that it incorporates. This makes the book a valuable tool for current and future challenges in the field of testing.